Now that July is coming to an end, I hope that everyone was able to see the final two episodes of the wonderful series, Queen and Country. On Sunday, July 15, The Queen's Possessions took a look at some of the more unusual things that the queen owns. Items belonging to the queen include the Royal Swans, the Tower of London and the Royal Collection of portraits. 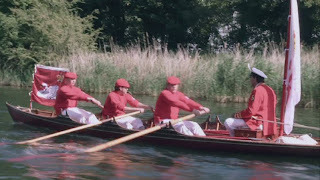 This episode begins by following a session of "swan upping," the annual census of the swans along the River Thames. The swans are rounded up, counted and marked with a ring around one leg. The Swan Marker and his crew wear traditional red coats and the Swan Marker himself sports a jaunty swan feather in his cap. The ceremony takes 5 days to complete and draws crowds who line the banks to watch the activity. While we all learned recently that the Queen is a good sport, she has participated in intricate media events before. 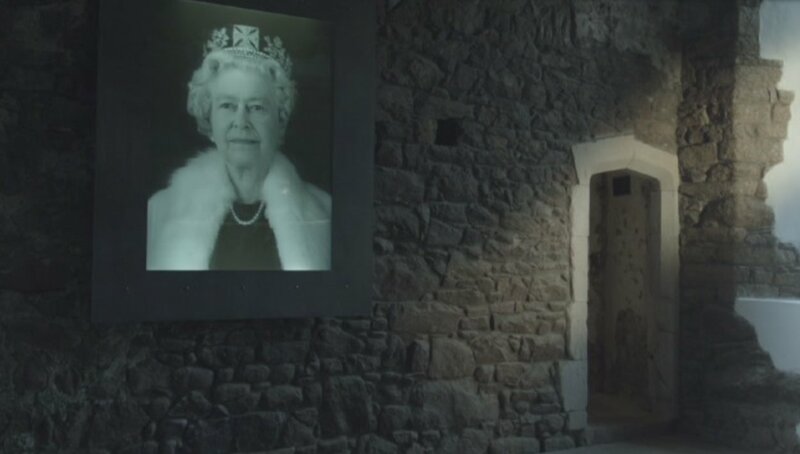 We get to see the process which created the 3D hologram of the queen which is currently on display in the Tudor Great Hall at Mont Orguiel Castle on the island of Jersey. The creation of the work involved taking over 10,000 images of the queen over two sessions. The finished product is an amazingly intricate portrait of the queen. From 1954 until 1997, the Royal Yacht Britannia served as the Queen's home at sea. 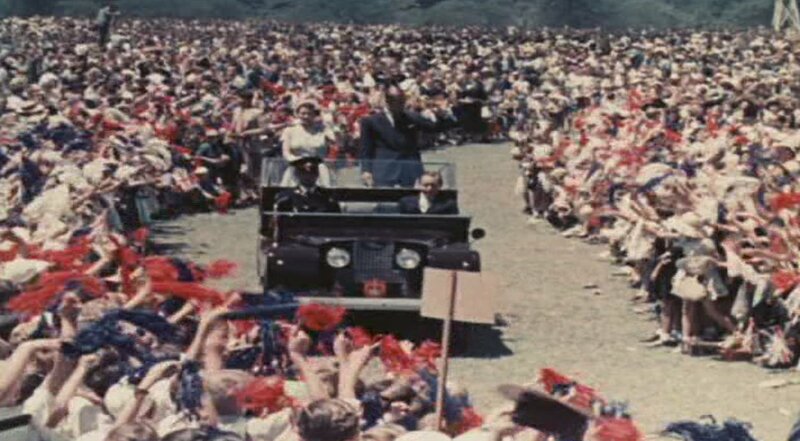 It covered over 1 million miles and hosted a variety of events and guests. Eventually, it was deemed too expensive to maintain and was sent to Edinburgh to become a tourist attraction. Queen Elizabeth is currently the head of 16 realms and 54 countries of the Commonwealth. I was surprised to learn that there are still countries being added to the Commonwealth, the latest being Cameroon (which joined in 1995). During her reign, the queen has made 325 visits to 150 countries. 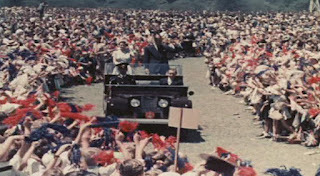 Her longest trip was a 5 month tour which included a stop in Australia, where she was greeted by enormous crowds. During her travels, she has visited all the Commonwealth countries (except for that new member, Cameroon!). 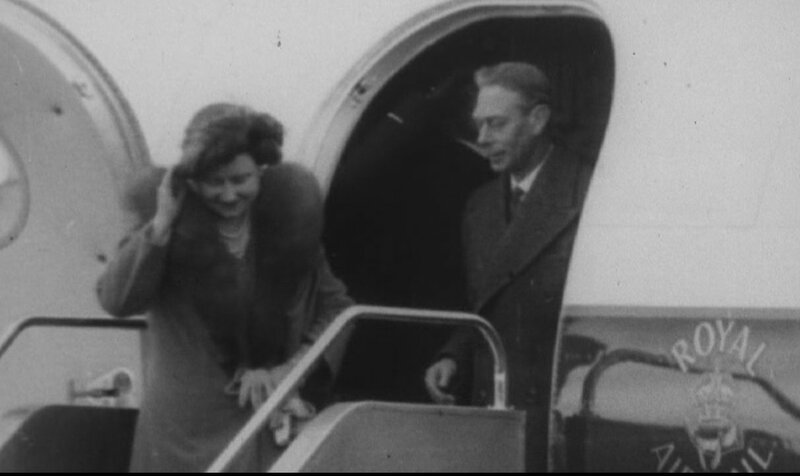 She has also been an occasional visitor to the United States, and addressed the United Nations on several occasions. I was sad to see the series come to an end, but it was so fascinating to get a closer look into so many aspects of the Queen's lif﻿e. Certainly, any future rulers will have a difficult time matching her longevity on the throne and her varied and colorful experiences. I hope she will continue to be a vibrant and beloved presence for many years to come! Disclaimer: I received a copy of Queen and Country for the purpose of this review.